Op-Ed from Secretary Kerry | . :: Elections 2014 ::. Again and again, through all my visits to your country, I've been struck by one profound fact: Afghans want and deserve a better future. You want to live without fear, to have the best possible education for your children, health care systems that provide dignity and the jobs and other opportunities that come with a stable economy. Something else has been clear to me: Democracy is the path Afghans have chosen to achieve that better life. For more than a decade, President Hamid Karzai has led Afghanistan through triumph and tragedy. I've worked closely with him, and I know that one of his lasting legacies will be how Afghanistan makes its first democratic, peaceful transfer of power. Afghans took an enormous step on the road toward a stronger democracy in April and June when millions of people went to the polls to choose the country’s next president. Every vote was a courageous endorsement of democracy, and an expression of hope for the future. The United States knows from our own history the road to democracy is bumpy and the journey is not completed overnight. Democracy requires building credible institutions, overcoming divisions, building trust and working together for a brighter future. Today, Afghanistan and its two presidential candidates face one of those bumps in the road -- a moment of decision. Their ability to overcome the obstacles and work together to honor the votes of millions of their citizens will determine the future of Afghanistan and its relationship with the international community. The United States, the United Nations and the international community are engaged in the post-election process solely to help the Afghan election institutions restore credibility to the voting. Experts tell me that the audit under way in Kabul is the largest and most complicated election audit ever undertaken anywhere. Few countries could meet this challenge alone. Specialists from the UN are working side by side with their Afghan colleagues to ensure that the audit meets the laws of Afghanistan, the highest international standards and, most importantly, the expectations of Afghans. The process, which has been painstaking and slow, will accelerate with the end of Eid al-Fitr. But democracy can’t be rushed and every legitimate vote deserves to be counted and respected. The Afghan Independent Election Commission, the UN and dozens of international observers are working night and day to conclude the audit. The audit is only one part of the challenge confronting democracy in Afghanistan today. Equally important are the actions of the two candidates, Dr. Ashraf Ghani and Dr. Abdullah Abdullah, and their political teams. On July 12, the two candidates shook hands and agreed to respect the results of the audit. They also agreed to build a unity government that will lead Afghanistan to a better future. The political agreement responds to a challenging situation that requires cooperation between the two leaders and their broad range of supporters. In reaching the agreement, Dr. Abdullah and Dr. Ghani showed incredible statesmanship. In any democracy, it's very hard after an intense campaign as a presidential candidate to come to that moment where you must put your own aspirations and those of your supporters second to the greater long-term interests of your country. Both candidates managed to overcome their reservations and those of their backers. They set aside political interests in favor of the national interest. They exhibited the statesmanship we expect from great leaders. Their challenge now is to translate that agreement into a strong working relationship in the new government, whoever wins. The time for politics is over. The time for cooperation is at hand. There is no time to waste, and I encourage both teams to work cooperatively on the critical issues facing their country even as the audit continues. It’s not for outsiders to describe the contents of the political framework both candidates accepted a few days ago. But I was there in the room, and I can tell you what is not in that one-page document. It does not violate the Afghan constitution – it respects Afghan institutions and the role of the president as the head of government. It does not establish a parliamentary system – it creates a new position of chief executive who will report to the president until the president convenes a loya jirga to determine whether a permanent change is in the best interests of the country. What the agreement does provide is a critical opportunity for both candidates to move beyond political competition to real statesmanship. It is a chance for them to work together to build an inclusive government that represents all sectors of Afghan society – Pashtuns, Tajiks, Uzbeks and Hazaras, men and women. Yes, democracy is an evolutionary process. It isn't easy. But every democracy reaches a decisive moment where the interests of the country must outweigh the interests of politicians. Afghanistan is at that critical point today. Its leaders cannot afford to miss the chance to help bring their people the better lives they deserve and demand. And that is a challenge for two statesmen who both love Afghanistan. U.S. Secretary of State John Kerry brokered an agreement between Afghan presidential candidates, Abdullah Abdullah and Ashraf Ghani-Ahmadzai on July 12 that would audit all eight million votes cast in the runoff presidential elections. 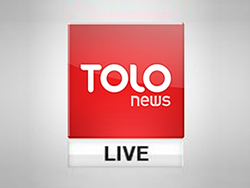 The views expressed in this Op-Ed are those of its author and not representative of TOLOnews.